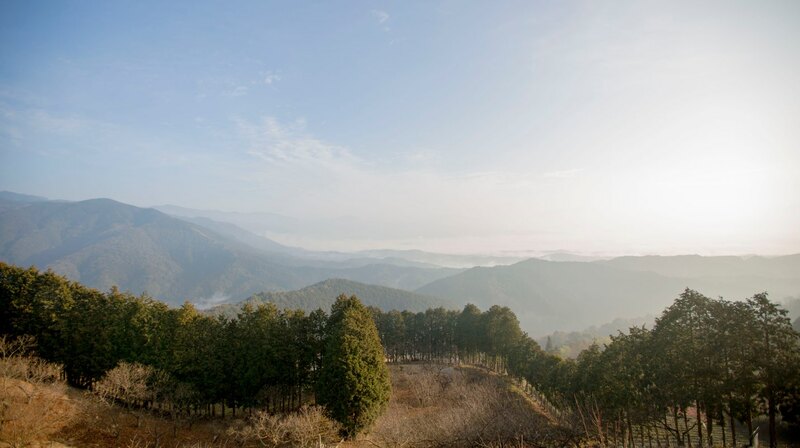 Our hometown of the Hitoyoshi-Kuma region is filled with natural beauty such as forests, fields, the clear water of the Kuma river and the Kawabe river, the sacred mountain Ichifusa and places which have been cherished and fostered by our ancestors. The Hitoyoshi-Kuma region is blessed by nature and a unique traditional culture. 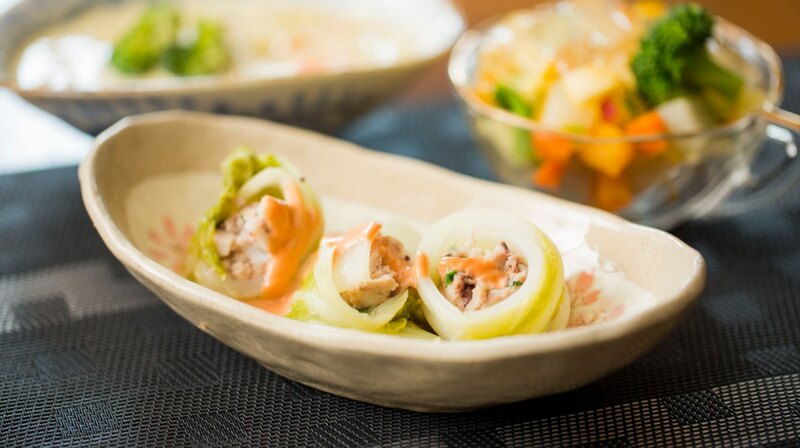 Especially the ‘local food and dishes’ which came from the daily life are actually regarded as an important aspect of food culture that transmits the background and the way of life of the local people who handed down from generation to generation. The Hitoyoshi-Kuma region has a deep culture of prayer represented by the pilgrimage to the thirty-three Kannon temples. The culinary culture of this region is characterized by many kinds of food made with consideration of the feelings of the recipients including children. Chimaki (a rice dumpling wrapped in bamboo leaves) that includes sweet bean paste is made wishing for children’s growth. Its elongated shape resembles the shape of a bamboo which grows rapidly and bamboo leaves are used to wrap it. 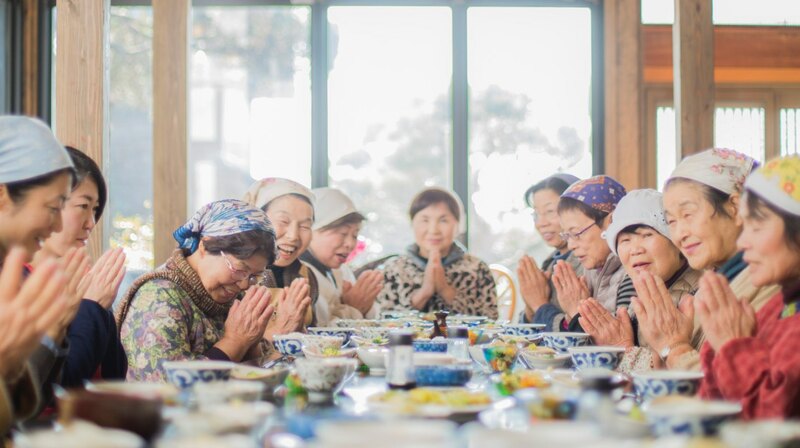 Almost all meals made in this region come with a prayer, which underlines the idea that prayer is a foundation of the Hitoyoshi-kuma region. 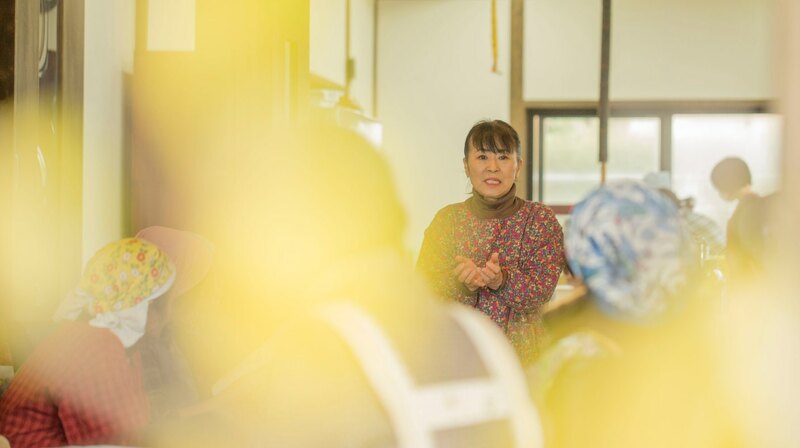 When we saw ‘pastries and boxed lunches from convenience stores’ were distributed at shelters after the Kumamoto earthquake in 2016, we realized again how grateful we are to be able to eat our ‘daily meals’ including warm miso soup, freshly cooked rice and pickles, all of which enrich our minds. It is very important to know for whom we prepare a meal and with whom we eat it. When we sit at a dining table with beloved family and friends, we enjoy conversation and dishes made with the love of persons who prepare the food. The atmosphere and love that enter into our bodies become our blood and flesh. Home cooking itself is love to both our families and our region, therefore restaurants outside home cannot serve them. Family love, regional love and human love are all in this home cooking. This is the reason why home cooking is so ‘delicious’, even if it is simple. In the olden times, people used to prepare something special on celebrative occasions, but normally prepared simple meals. In modern times, people often take meals that are too rich, and they are increasingly suffering from lifestyle diseases such as cancer and diabetes. We are living in a period where we can get any ingredients anywhere 24 hours a day. We consumers no longer understand what is really good for health, since we have too many options. Times had moved from ‘rich feeding’ to ‘full feeding’, and now is a time of ‘collapsing feeding’. What is collapsing? The fundamentals of the Japanese meal are collapsing. The meal is fundamental for forming a healthy mind and body. A meal is not only to satisfy our hunger. Some people think that meal can be obtained by simply paying money and they believe that the cheaper the better when viewing meals from the standpoint of rather than health. Local home cooking has high nutritional value. We hope that people can be more interested in foods and realize that home cooking is filled with wisdom of our ancestors. Unlike in the past when regional connections were strong, the connection with people is now tenuous. Along with these circumstance, it is difficult that local home cooking will be inherited. Based on our understanding this challenge, we initiated the ‘Meals for Life Program’ to record home cooking created by our ancestors and pass it down to the next generation. As indicated by phrases such as ‘Shindo fuji ‘(local production for local consumption, the idea that human beings are a part of nature and it is natural to eat what is produced in the area where you live) and ‘Ishoku dogen’ (a balanced diet leads to a healthy body), we sustain our lives by cooking local foods in season putting forth our efforts and time with love and savoring the result. Hoping both our thoughts and the greatness of local ‘meals’ would be widely recognized and would passed on to the next generation, we would like to enlarge our circle of activity by treasuring three points (livelihood, production and life).